Our Colorado winter may be off to a mild start this year, but the benefits of drinking purified bottled water will continue through to our chilly months ahead. Colds and the flu are hitting individuals, families and offices alike. Maximize the benefits of bottled water delivery to help you stay healthy this winter. Health conscious Coloradans know drinking water is vital to their well-being. Good hydration increases your focus, skin clarity, and aids in maintaining a healthy weight, to name just a few of the benefits of drinking water. During the cold months when sickness escalates, increasing your fluid intake is necessary. Keep reading to learn 3 recipes for using the purified bottled water you love to bolster your immune system and fight the germs rampant around you. Coffee and tea are popular Colorado choices for starting your day or relaxing in the evening. Gain additional benefits of drinking purified bottled water by brewing your hot drinks with natural ingredients. Adding lemon, ginger or honey are popular and effective choices to finding relief from a cold or the flu. These two health-promoting ingredients possess antiviral properties that can help to ward off sickness before it hits you. Well-known Dr. Mehmet Oz of “The Dr. Oz Show” even had ginger as his herb of the month due to ginger's medicinal qualities. In a large cup of hot filtered purified bottled water, steep the tea bag (optional) and the sliced ginger. Add the lemon juice, honey, and spices and stir well. The tea will be cloudy. If you prefer a non-cloudy drink, you may strain the tea through cheesecloth to remove the ground spices and ginger. No matter the time of the year, infused drinking water is a simple and refreshing go-to thirst quencher. Whether you are on the go to the Colorado mountains, working out, or looking to complement a meal, the benefits of drinking purified bottled water can help you stay healthy and happy. Cucumber or fruit-based drinking water offer variety for everyone. It makes a perfect office refreshment for one or many. It’s no different when you are feeling sick. You need to stay hydrated. Infusing purified bottled water gives you added health benefits. Oranges are a natural booster for your immune system. They offer a punch of vitamin C to your water. Ginger is an antioxidant that aids in building your antibodies and immune system. Remove the skin from the ginger and slice into coin-sized rings. Add to the bottom of your pitcher. Slice the orange into wedges or rings then give a gentle squeeze to help release the juices as it sets. Top with ice, this part is important whether you enjoy your water chilled or at room temperature as it submerges the fruit to better infuse the water. Refrigerate, or place on your countertop for room temperature water, for one hour before serving. When you have poured ½ of the infused water from your pitcher, fill back to the top with bottled water. This will help preserve the flavor so you won’t have to start over again when you finish the pitcher. Fill up, up to 6 times in a day, or until the ingredients lose their flavor. Store in your fridge for up to 24 hours. Change it up by substituting pineapple for the orange. Many people look for natural home remedies to ease their symptoms of sickness. They have been around for hundreds of years and used around the world. In this recipe, we used purified bottled water to enhance the natural benefits of apple cider vinegar to give relief to sinus and respiratory infections. Apple cider vinegar can be hard to swallow. Sweetening the vinegar with juice and spices is much more enjoyable while still getting the health benefits of the apple cider vinegar. Place the above ingredients in a glass and stir until blended. Add a scoop of ice if desired. This purified bottled water-based health drink tastes sweet and delicious! Winter is here. (sorry GOT fans lol) The cold weather brings exposure to seasonal sickness. Fight the flu and colds this year in a natural, refreshing way. Use the 3 water-based drinks in the article to encourage the health benefits of drinking purified bottled water for you, your family, and coworkers. These recipes will add variety and an immunity boost to your daily hydration program. 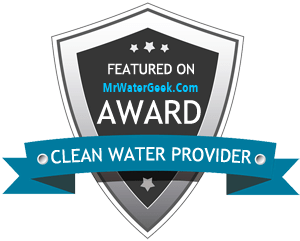 Did you know getting purified bottled water delivered to your Colorado Springs or Denver area business and/or home is cheaper than you might think? Call us for a free quote over the phone. Or contact us via email to schedule a free bottled water delivery consultation with a salesperson that can to come to your business or home so you can see our catalogs and get a reliable quote for bottled water delivery.